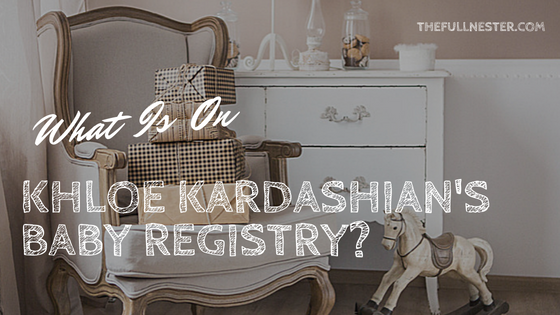 What is on Khloe Kardashian’s Baby Registry? I got word this week that Khloe Kardashian had registered for her upcoming baby needs exclusively on Amazon. Let me start out by saying that I am not an avid follower of the Kardashian clan, nor do I aspire to keep up with them. 🙂 But I was curious to know what someone in her realm would register for on a baby registry. Would it be normal stuff like the rest of us, or would it be weird celebrity stuff? So let’s find out what is on Khloe Kardashian’s baby registry. Before we get into the specifics, I want to talk a little bit about registries. I am old school, from back in the day when the purpose of showers and registries was to set up a young newlywed couple in their new home or to provide expecting parents with essentials they need to welcome a new baby. There were rules for these things. Long before the internet and online registries, one would have to contact the mother of the bride or the maid of honor to find out where a bride was registered. And one would call the person hosting the baby shower to find out where the expectant mother was registered. Then came online registries. I am very much a fan of these because it made it much easier to find out what the bride or expectant mother needed and you didn’t have to bother the already busy hostess to find out where they were registered. Before online registries, you had to go to the store and go to the wedding or baby department and tell the employee the name of the person you were shopping for and they would look them up and then print out a clunky chunk of pages for you to scroll through to find what you might like to buy. So online registries and the ability to even buy the gift online and have it gift wrapped and sent to the bride or mom-to-be is a great technological improvement. I greatly appreciate young women who go to the trouble to compile a registry. It takes time to curate what you need and want, and it helps your guests know what to get you, and it prevents duplicates. That is why I ALWAYS buy from a registry if there is a list of requested gifts. If someone has taken the time to put together a wish list the least I can do for them is purchase something from their registry. On to Khloe’s baby registry. 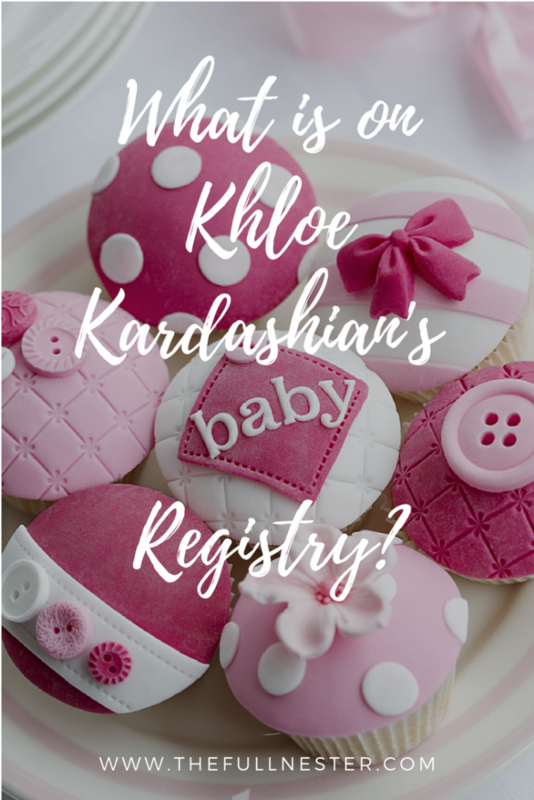 I was a little charmed when I found out Khloe Kardashian had registered for baby gifts. I know she is financially able to purchase whatever she wants, and maybe even has endorsement deals with all of these products, 🙂 but this is her first baby and every woman wants to experience having a baby shower where her friends give her things for her new baby. I’m sure Khloe is no exception. So what is on her registry? I was surprised to see that it was pretty normal stuff that any new mom would like. So let’s take a look. It’s very well organized by category. First up, diapering. These ultra-absorbent diapers are described as eco-friendly and designed to reduce the risk of allergy and diaper rash. Soft and certified organic cotton. Who doesn’t love Burt’s Bees? I can’t say enough about how essential odor locking diaper pails are. We had one when our daughter was little and it was a lifesaver. It looks like designs have improved over the years, as this one doesn’t use a special bag. You can use any tall kitchen bag. That’s a real money saver. These look fun. I might need some of these for myself. 🙂 They are BPA free pipes with suction cups on the back so they can be stuck to the tub wall or attached to each other. You can then scoop and pour away with bath water, which flows back into the tub. Plant-based skin care designed for newborn baby skin. This little tub is designed to accommodate a growing baby. It has inserts that adjust for infants all the way through toddlers. Where was this thing when we had a baby? You can warm a bottle from the comfort of your bed! You put a bottle in at bedtime, and the ice packs in this machine will keep it cool for up to eight hours. Then you preset the time you want the bottle to warm. When it is feeding time, push the button and the warming cycle begins. You can also warm baby food jars. On to Health and Safety. Heats, cools, and purifies by removing allergens. This is a pricey item but for those with sensitivities, it could be an essential. I keep saying, “Where was this when we had a baby?” every time I look at these products. This is a monitor in a sock that you place on your baby when they are going to sleep. It monitors the baby’s heart rate and oxygen levels and alerts you through an app if something is wrong. You can check it from anywhere. It comes with three washable socks that wrap around the baby’s foot and connect to a base up to 100 feet away through Bluetooth. Again, need one for me. 🙂 This little owl projects stars and moons, has a glowing tummy nightlight, and plays music and has four nature sounds. Swivels 360 degrees with a side wall that lowers so you can tend to your baby. The buttons on the side include a nightlight, two vibration levels, three soothing sounds and three lullabies. Has a 30-minute auto shut off. This stroller includes a front and rear facing car seat and has an adjustable canopy and telescope handlebar that allows for different parent height. On to Play and Learn. This little gym features sounds, lights, and motion. The arch can be flipped down for tummy time. You can even slip your phone into the pocket at the top to record your baby’s antics! For babies 0-8 months old, this product provides a comfortable way for your baby to rest, play, and get diaper changes. It also offers a safe way for parents to co-sleep with their babies. Great for mommy’s stretching skin. Pamper yourself! I had a pregnancy pillow when I was pregnant and I think I should have kept it because I use a lot of pillows now when I sleep to prop myself up just so. 🙂 100% hypoallergenic. Swaddling is supposed to help babies sleep better because it minimizes that crazy startle reflex. I was never very good at swaddling but my husband was GREAT at it. This set comes with a guide to swaddling and the cloth can double as a playmat or photo background, a nursing cover or burp cloth. You can check out the full registry on Amazon with this link. 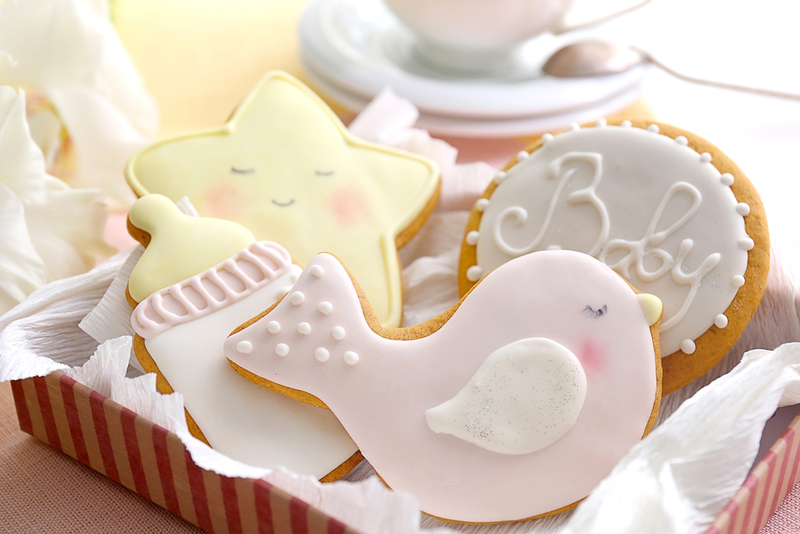 If someone you know puts in the effort to create a registry, I encourage you to give them something they have requested for their baby shower. What are your favorite baby items? Let me know in the comment section. And I would love for you to follow me on Pinterest!